I usually prefer to read other genres besides contemporary because so many of them are similar. This one, however, blew me away. I really loved how the problems that the two main characters faced were so relatable to so many people. I went through the same thing that Mitchell faces, and while I reacted a completely different way, I understood him and related to him. I also had the same outlook as Josie for her life in high school and afterward. I cannot explain how much I loved these characters. Hannah Bucchin's writing is phenomenal. I loved how her book is two POVs, but it flowed seamlessly. Also, her scenery and imagery is SO beautiful. I need to find a place like Paintbrush and visit immediately. The whole time reading it, I could not stop thinking about going somewhere in the mountains and hiking. Also, one conversation in this story really stood out to me. Josie and her mother were talking about parenting and I have to say, I REALLY loved Josie's mother and her opinions. I looked at my life and my husband's and how differently we were raised and I see her point so much, and it is something I will carry with me for a long time especially because I have kids. As if it isn't obvious, I really loved this book and I highly recommend it to everyone. It is available for preorder, and please go get it! 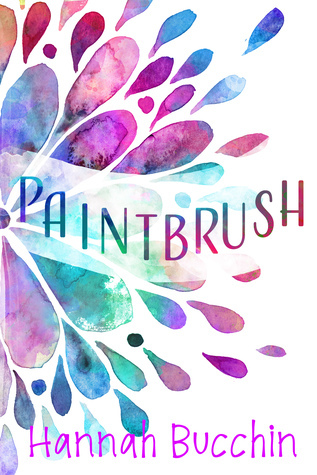 Sign into Goodreads to see if any of your friends have read Paintbrush.